Link, Trac, Amb Spray - Baylor Kobularcik as Link Larkin, Sophia Ottinger as Tracy Turnblad, and Bridget Ottinger as Amber Von Tussle in the Genesius Theatre Production of Hairspray, Jr.
Get your frug, pony and twist on as Reading’s Genesius Theatre presents the wonderful Tony Award-winning musical Hairspray, Jr. with Genesius’ talented kids – ages 6 to 14 years old – March 8 thru 17 directed by Dara Himes, music directed by Jennifer, choreographed by Jericho Joy, teen assistant choreographer, Andrew Bausher, and stage managed by Ashley Calderon. It’s 1962, and spunky, plus-size teen, Tracy Turnblad, has one big dream — to dance on the popular “Corny Collins Show.” When she finally gets her shot, she’s transformed from social outcast to sudden star. In balancing her newfound power with her desire for justice, Tracy fights to dethrone the reigning Miss Teen Hairspray, Amber von Tussle, and integrate a TV network in the process. With the help of her outsized mom, Edna, and guest DJ, Motormouth Maybelle, the rhythm of Tracy’s new beat just might prove unstoppable. 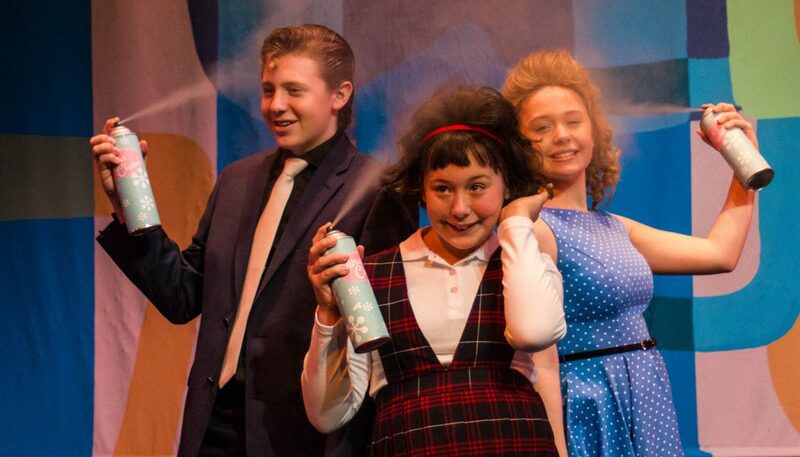 Genesius’ production of Hairspray, Jr. opens Friday, March 8, 9, 10, 13, 14, 15, 16, 17. Curtain is at 7:30 p.m. each night. 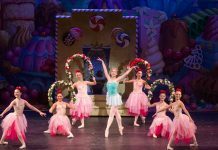 Matinee performances are offered at 3 p.m. on two Sundays, March 10 and 17. Tickets are: run between $15 and $20.00 and can be purchased online Show Run Time, Approximately 1 hour. www.genesiusdifference.org; or call 610-373-9500 card fees apply. Tickets also available at the door. The play is rated G.